Des rétractions fibro-tendineuses compliquant la contracture spasmodique. Description : 28-39 p., [2 l.] pl., 64-69 p., [1 l.] pl. ; ill.: 3 photo., 3 fig. ; 25.5 cm. Photographs : 3 phototypes, numbered V, VI, IX. Subject : Limbs — Contracture. Author caption: PAUL BLOCQ. Interne de la Clinique des maladies du système nerveux. Published in two issues of the journal, the first has a misspelling of the author's name. 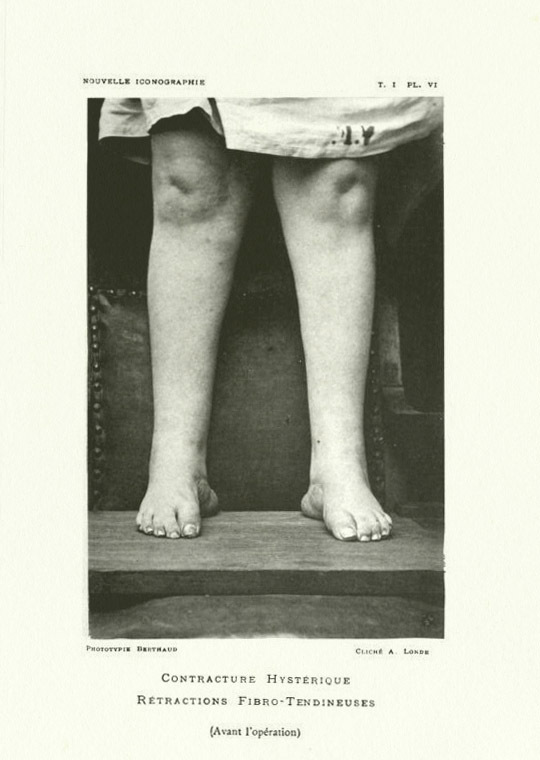 Eponym: Blocq's disease — Astasia-abasia; inability to stand or walk, symptomatic of a conversion disorder (GM 4573). On the differential diagnosis of contracture in organic and psychogenic nerve, muscle, and tendon disorders. 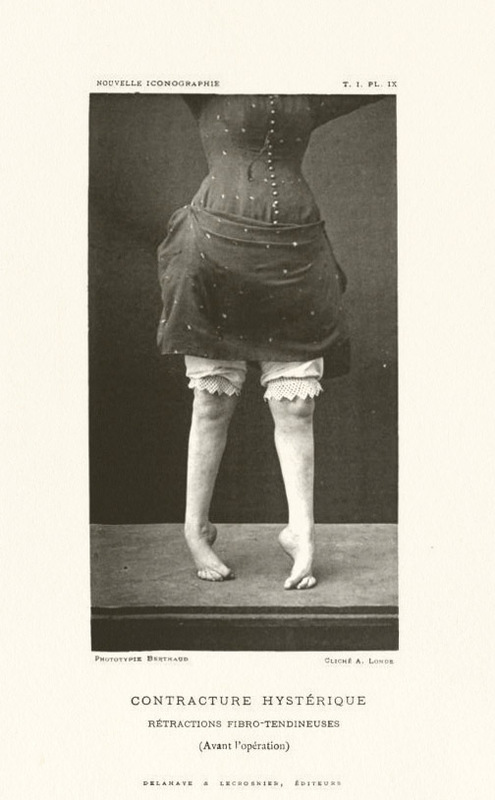 This paper supplements Blocq's monograph on the subject of contracture titled, Des contractures; contractures en général; la contracture spasmodique; les pseudo-contractures, which was also published in 1888 (Paris: Delahaye & Lecrosnier). 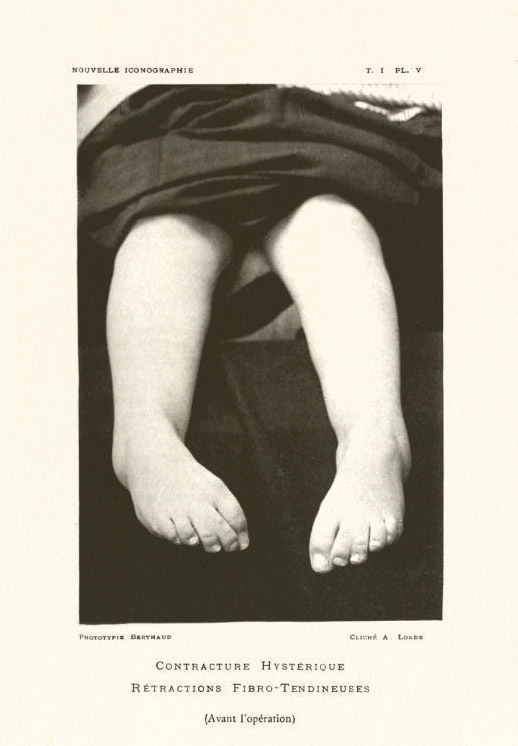 Each of the plates is captioned, Contracture hystérique. rétractions fibro-tendineuses. (Avant l'opération), and represents contracture of the lower extremities in a female subject, prior to surgical intervention.